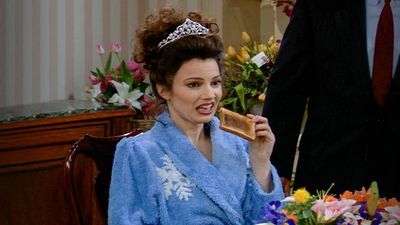 Here's where to watch every episode of The Nanny season 2. Mouseover or tap an episode to see where to stream it. Click or tap the play icon to stream it on the best available service. Fran-Lite Sep 12, 1994 Maxwell dates a woman with a striking resemblance to Fran. The Playwright Sep 19, 1994 A man whom Fran snubbed in high school has written a play and threatens to jump off a ledge unless Maxwell reads it. 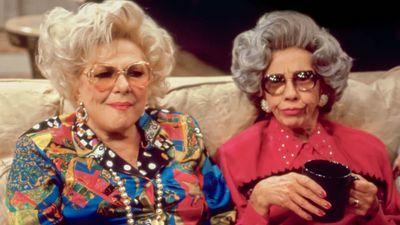 Everybody Needs a Bubby Sep 26, 1994 Grandma Yetta stays with Fran and the Sheffields while her retirement home is being fumigated. Material Fran Oct 3, 1994 Fran goes out with a much older rich man. 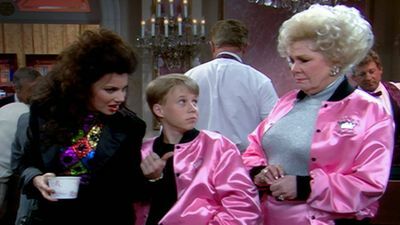 Curse of the Grandmas Oct 10, 1994 Gracie's Red Robin troop goes to Grandma Yetta's retirement home to "adopt" a grandparent. When Gracie's first and second picks pass away, it sours her on scouting. 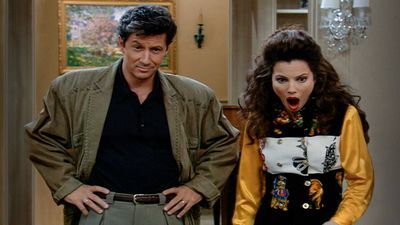 The Nanny Napper Oct 17, 1994 On the subway, a Russian immigrant accidentally leaves her baby, and Fran picks it up, believing it to be abandoned. A Star Is Unborn Oct 24, 1994 A director plans to sabotage his production of "Romeo and Juliet" by casting Fran in the lead role. Pinske Business Oct 31, 1994 Maxwell has Fran pretend to be C.C. in order to get theatrical backing from a man C.C. attacked to get a cab. Stock Tip Nov 7, 1994 Fran gives Maxwell a stock tip that turns out to be from a hot dog vendor. The Whine Cellar Nov 14, 1994 Two events are supposed to happen simultaneously. First, Sylvia is celebrating her "50th" birthday at the Sheffield house (obviously the umpteenth times she's celebrated her 50th), with Fran throwing her a not so surprise party. And second, C.C. is going away for the weekend with Maxwell to an industry function, the weekend which she envisions will be a romantic one with her business partner. The first does happen, but the second hits a snag when C.C. accidentally gets trapped in Maxwell's wine cellar. What's worse is that Fran ultimately gets trapped in there with her. To make the best of a bad situation, Fran treats their captivity much like a slumber party. C.C. doesn't get into Fran's swing of things until she dulls her pain by the copious amounts of wine at her disposal. Fran ultimately becomes C.C. 's confidante, C.C. who finally admits to herself for the first time and to Fran that her feelings for Maxwell are probably unreciprocated. But things go back to normal between C.C. and Fran after Maxwell frees them from their prison. When You Pish Upon a Star Nov 21, 1994 Fran inadvertently persuades an obnoxious child star, who's set to star in Maxwell's revival of "Oliver! ", to give up show business. 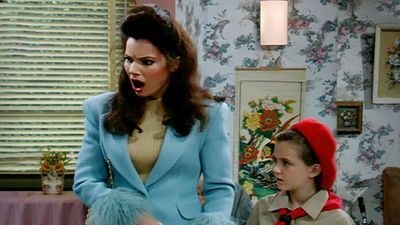 Take Back Your Mink Nov 21, 1994 Maggie is upset when Fran inherits a mink coat. Fran decides to give it up to appease Maggie, but Sylvia won't hear of it. 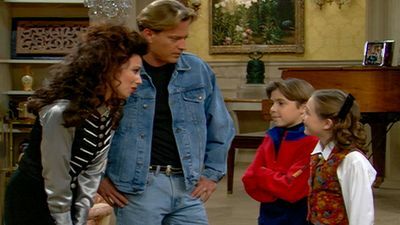 The Strike Nov 28, 1994 Maxwell and Fran face a difference in opinion on how to raise the children when Maxwell reverses a decision Fran made regarding not allowing Brighton to go to the mall. Fran makes Maxwell realize that Brighton was using the old ploy of dividing and conquering. Another difference they face is during the party following the opening on Maxwell and C.C. 's new play, a musical version of Norma Rae (1979). The busboys at the hotel where the reception is being held are on strike. Fran refuses to cross the picket line, which makes Maxwell try to forcibly make her cross. The media has a field day with the issue, especially considering the irony with regard to the subject matter of Norma Rae. Maxwell and C.C. decide to diffuse the issue by presenting their side of the story on Sally Jessy Raphael's talk show. But Sally's show offers Fran a counterpoint argument. Realistically, this forum allows both Fran and Maxwell to discuss deeper feelings around the issue. I've Got a Secret Dec 12, 1994 Maxwell refuses to divulge the identity of the celebrity recuperating from surgery in the Sheffields' house. 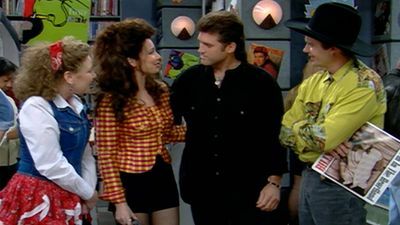 Kindervelt Days Jan 2, 1995 Fran receives a surprise when Sylvia sends in a long-lost "Win a Date With Erik Estrada" contest entry form. Canasta Masta Jan 9, 1995 After Brighton joins Sylvia's canasta team, Fran is dumped from it. The Will Jan 16, 1995 Maxwell draws up a will which states that Fran will remain nanny in the event of his death. Meanwhile, she thinks that a fax of a potential client's heart-sensitive diet given to Niles is really for Maxwell. 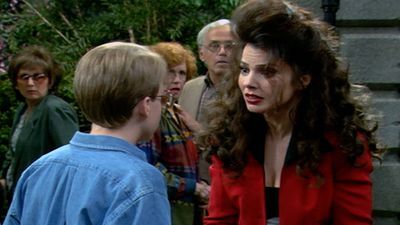 The Nanny Behind the Man Jan 23, 1995 Mr. Sheffield is trying to win Andrew Lloyd Webber over a play written by famous award winner playwriter Dakota Williams. 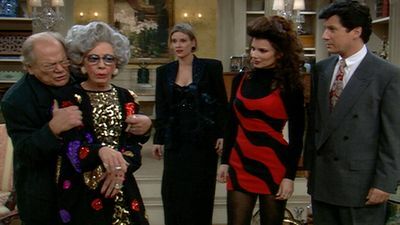 In order to do so, Fran convinces Mr. Sheffield that they should attract Dakota with a gorgeous girl - Yetta! 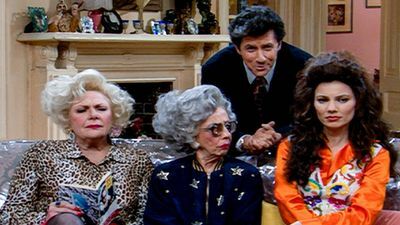 The two have a romantic night in their own way, but when Mr. Sheffield finds out that the play was never finished, he tells Yetta to dump him to get out of the bad deal. When she does, they learn that Dakota has finally finished his play after having his heart broken. A Fine Friendship Feb 6, 1995 Fran strikes up a friendship with a male nanny whom she erroneously assumes is gay. Lamb Chop's on the Menu Feb 13, 1995 C.C. plans to move into feature film production with a star vehicle for Shari Lewis and Lamb Chop. When Shari and Lamb Chop visit the Sheffield mansion, C.C. 's dog Chester tries to eat Lamb Chop. Close Shave Feb 20, 1995 Maggie is a candy striper at the hospital. 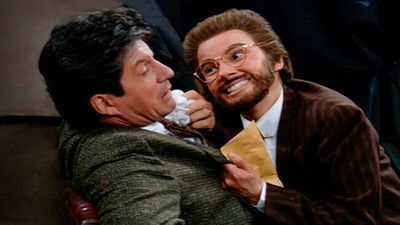 When she takes off to go on a date, Fran fills in for her and must shave Maxwell for an appendectomy. What the Butler Sang Feb 27, 1995 Maxwell hears Niles singing and asks him to sing for his backers' audition. Meanwhile, Fran clashes with her sister Nadine. A Kiss Is Just a Kiss May 3, 1995 Maggie is upset when Fran beats her in a kissing contest. The winner is to appear on an album cover with Billy Ray Cyrus. Strange Bedfellows May 8, 1995 Fran worries about her future when Mona, one of her fellow nannies, retires to Florida. The night of Mona's goodbye party, Fran gets drunk and staggers into Maxwell's bed. 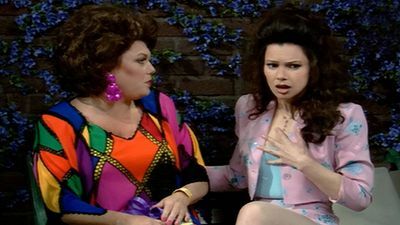 The Chatterbox May 15, 1995 Maggie receives a party invitation so Fran takes her to her favorite beauty salon. Fran gets a job there for an actress who loses a Sheffield audition. Fran Gets Mugged May 22, 1995 An valuable Shakespearian document is taken from Fran when she is mugged in New York's Central Park.